The Deepwater Horizon oil spill Natural Resource Damage Assessment Trustees have extended the public comment period for the Draft Phase IV Early Restoration Plan and Environmental Assessments. 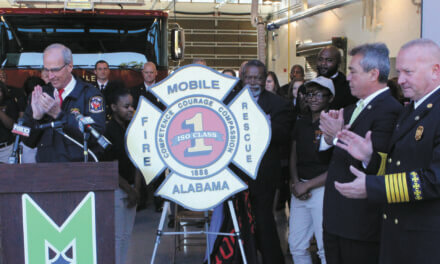 The Draft proposes an additional 10 early restoration projects with an estimated cost of $134 million across the Gulf states with $11 million specifically focused in Mobile and Baldwin Counties. The Draft is now available for public review and comment through July 6 rather than the original deadline of June 19 — an extension that was authorized at the request of the public. The public comment period was focused on a series of stops in each of the five Gulf Coast states affected by 2010 oil spill. 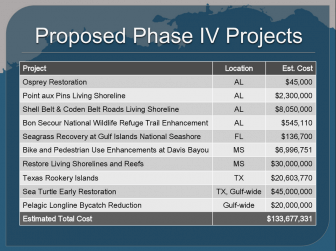 The names and costs of the projects planned in the 4th round of Natural Resource Damage Assessment funding since the Deepwater Horizon oil spill. 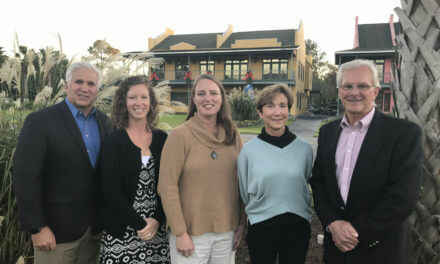 Representatives from the state and federal agencies that comprise the trustees met in Mobile on June 3, where they heard from several local environmental groups including the Pelican Coast Conservancy and Mobile Baykeeper. The 10 early restoration projects proposed in the Draft include two that would enhance bird nesting habitat, four projects that would improve nearshore and reef habitats, two projects that would enhance recreational opportunities on federal lands, one project that would reduce sea turtle mortality and one project that would restore pelagic fish across the Gulf by paying fisherman not to fish during certain periods of the year. 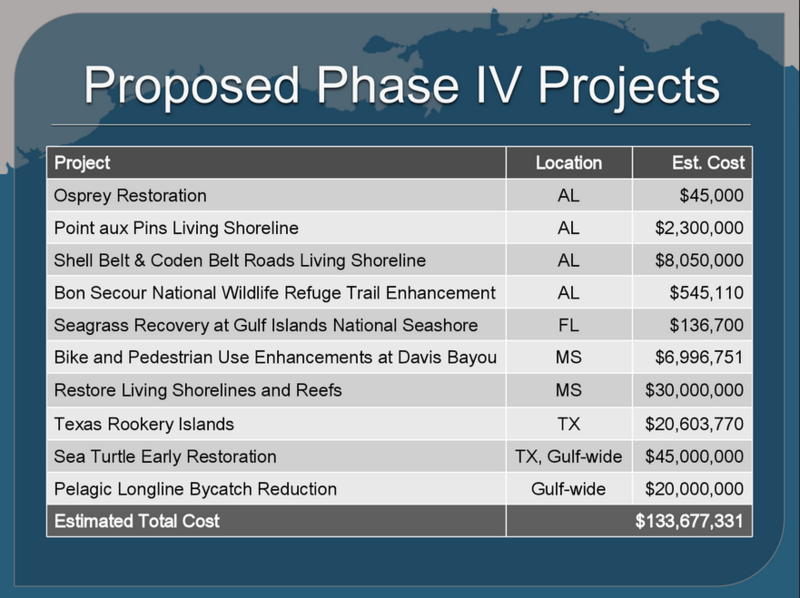 The Draft, available at www.gulfspillrestoration.noaa.gov, includes the complete list of proposed projects, with locations and descriptions. Early restoration is not intended to provide the full extent of restoration needed to satisfy the Trustees’ claims against BP. The Deepwater Horizon oil spill Natural Resource Damage Assessment and restoration will continue until the public is fully compensated for the natural resources and services that were lost as a result of the spill. NRDA funding was established after the Exxon Valdez oil spill in 1989 and acts as a means to get immediate funding to compensate lost recreational use or environmental damage following a man-made environmental disaster. Though BP has pledged up to $1 billion in early restoration funding, those funds — including the ones allocated for these projects — will offset the cost of BP’s final civil fines, which will be disseminated to each state through the RESTORE Act.